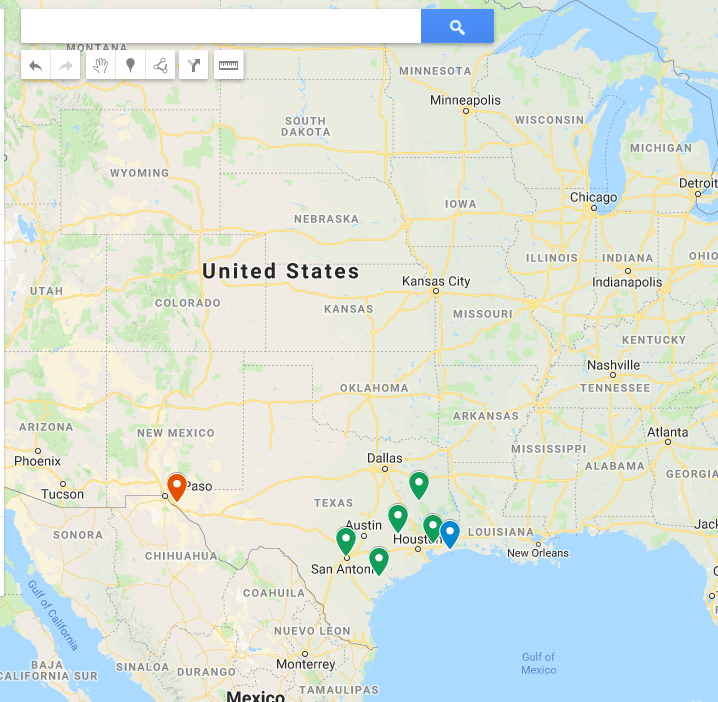 Description: Students will create a Google My Map and plot the journeys of Texas Explorers on their maps. They will post information they learn about each explorer. Technology TEK: 1.a Create original products using a variety of resources. Procedure: The teacher may choose to have a small group work together on one map with the “Share” feature or have each student work individually. Students create a Google My Map (from their Google Drive). Students will use the “Draw a line” tool to trace the paths of various explorers. Students can then add information to the line they drew, such as motivations, time period, and any resources the explorer may have been seeking in the region. Students will drop a “Marker” in the place the Texas Explorer is known to have settled. Students can research and add information to each marker they add to their map. They can also add pictures of the explorer to the marker. Click here for suggested app pairings.